ExPurtise was founded by brothers A.C. and Justin Dotterweich. They’re two experienced industry experts with a unifying goal; creating the world’s most results-focused skincare products with the purest ingredients possible. This divide leaves consumers with an unnecessary choice. Settle for 100 percent organic formulations that don’t make use of modern skincare technologies or ignore the controversial ingredients included in many non-organic beauty products. 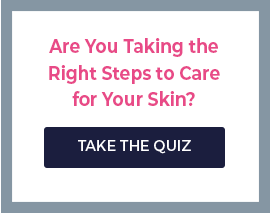 ExPurtise believes you can have a better skincare experience. Formulations that are all about results without any controversial ingredients and preservatives. High quality, luxury skincare products formulated by dedicated professionals who care about what you put on your skin. How is this accomplished? We take the latest in proven ingredient technology and pair it with Certified Organic hydrators, enzymes, botanical extracts and antioxidants. It is this synergy of science and nature that truly explain the ExPurtise philosophy. While the founders are experts in their own right, they’ve gone to great lengths assembling a team of specialists to assist in the development and formulation of ExPurtise. This team, known as The Skin Care Group, includes licensed aestheticians, cosmetic ingredient experts, a practicing pharmacist, chemists, as well as two medical doctors. The team’s collective expertise has been distilled to create the purest, most results-driven formulations available.